* Eventos especiais e grandes festas são bem-vindos, pergunte com detalhes específicos sobre a taxa do evento. a plataforma do terraço do telhado "Heron Terrace"
-uma comunidade amigável e respeitável com um policial que vive no bairro. [*] indica um custo ou serviço adicional no momento da reserva. This is a wonderful place to stay. 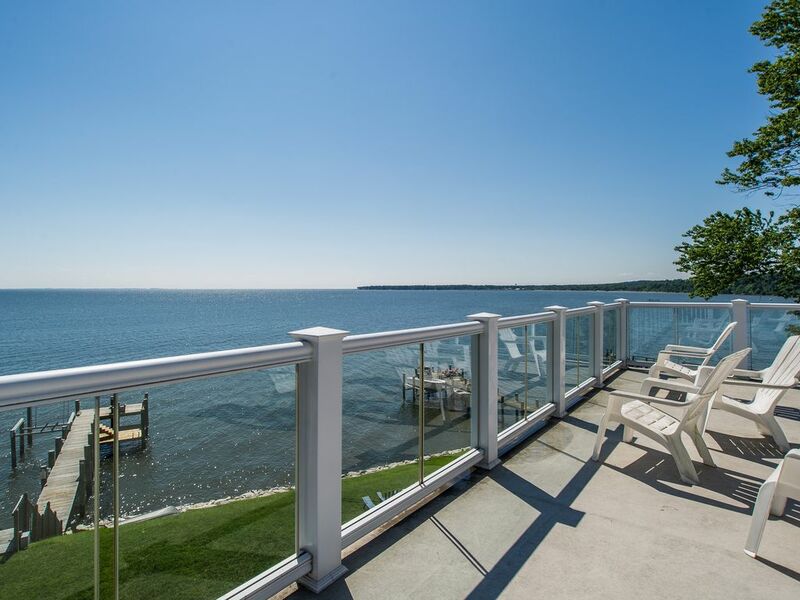 The house is extremely well equipped with huge living space, two nice decks and great views out over the Bay. Cannot recommend it more highly. A really fun waterfront getaway for our family, the house had so many amenities to keep the guest busy, it was nicer then expected, Everything was in great condition and the owner and manager were quick to respond to any need. This house was perfect for our large group! Loved the large rooms, ample bedrooms, spacious common areas plus backyard with deck, patio and gazebo, not to mention the dock to swim, fish and kayak from. Owner and manager were quick to respond with all our questions and minimal needs. We only left the house one time during our week stay! The house fit our needs very well. The twelve us were comfortable with plenty of space. The view is amazing and the property manager Theresa was very helpful and attentive. We had a great stay at this property. The pictures were very accurate and it was right on the water. There was so much to do including kayaks, grills, a hot tub overlooking the water, a fire pit, and a great interior. There was ample parking at the front and side of the house. The Driftwood was perfect for a family get together. The property is large enough for four families with the rooftop area a great hideaway. The use of the kayaks is great and the outside area great for relaxing and watching the wildlife. The area is nice and quiet which made for a relaxing break. Theresa was very helpful on check-in and made herself available if we needed any assistance (not that we did). Overall, a great place to stay and would certainly recommend for a larger group gathering. locais históricos, como Towne Point Marina, Tacaro Farms, Fairhaven Cliffs, Herrington Harbor, Annapolis ,.